East London Bed & Breakfast accommodation at its best. This East London B&B is one of the more popular guesthouses in East London due to its self catering or Bed & breakfast accommodation options and its warm, accommodating and generous hospitality. Bramlyn Bed & Breakfast, an up market East London bed and breakfast was awarded its 4 stars in September 2012. It is situated in the central suburb of Nahoon, is owner run, so quality and attention to detail are the order of the day. Whether you are looking for business accommodation, holiday accommodation or sports lodgings in East London there is no other East London Bed & Breakfast accommodation that is within walking distance to 20 local shops, restaurants and take aways, hairdresser, Nahoon beach and lagoon and that is close to the city centre and shopping malls. There is in fact no better East London Bed & breakfast accommodation establishment to be in for ease of use. Each room has its own DSTV decoder with 30 viewing channels. Other room entertainment includes a DVD/ CD player on request with a small collection of DVD’s. Bring your collection of music to make your stay more homely. This Upmarket Guesthouse offers safe off street parking behind remote controlled gates in a large parking area that can accommodate trucks and trailers. A car washing bay is available for the dusty traveller. Refresh yourself in our beautiful swimming pool or make new friends while playing a game of pool next to the swimming pool, or have a drink and relax at the pool lounge where the latest magazines are available for reading. This East London B&B has a beautiful sun deck where you can tan your bodies if you have come on holiday, or you can take a dip in the ocean, catch a wave at the world famous Nahoon Reef or sunbathe on Nahoon beach. Bramlyn B&B is a Nahoon guest house that is not only child friendly and baby friendly, but that is also pet friendly and smoker friendly – as long as you use the designated smoking areas outside on your enclosed patios. If you are looking for luxurious or executive self catering or B&B golf accommodation close to and near the East London Golf Course then look no further. Many a famous golfer has been pampered here. So many travellers have found an oasis of delight at this East London Guesthouse. Whether you are on a one night stop over, looking for relaxing holiday accommodation, need long stay / relocation accommodation, or are part of a sports team attending a tournament, why don’t you come and experience this jewel of East London Bed & Breakfast accommodation. You will not be disappointed! 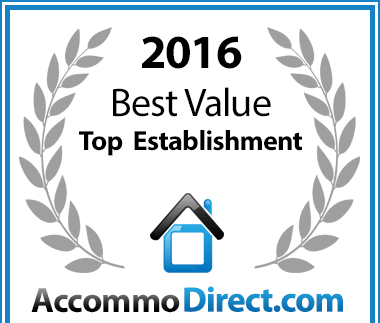 Bramlyn Bed & Breakfast has been voted a Best Value for money Nahoon establishment. 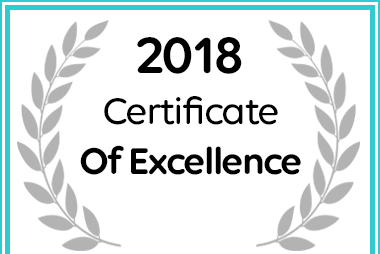 Bramlyn Bed & Breakfast received a Certificate of Excellence Award for places to stay in Nahoon.